Chimamanda Ngozi Adichie is an author and so much more. She has since built a niche for herself in the fashion industry. 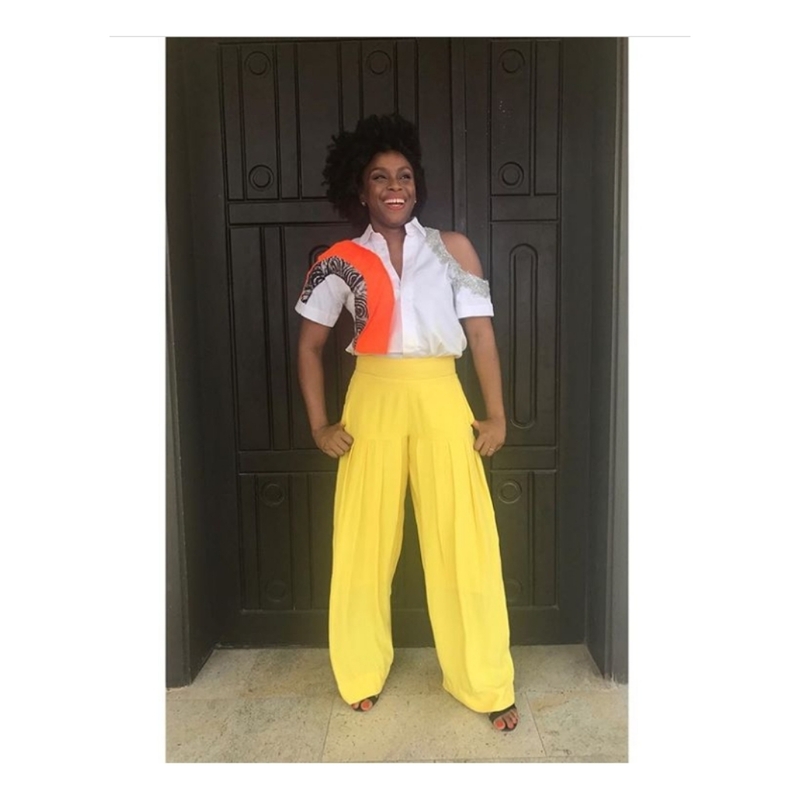 The author, in a recent article titled – MY FASHION NATIONALISM – wrote about why she decided to start her PROJECT WEAR NIGERIAN on her Instagram page managed by her twin nieces. What if I wore only Nigerian designers to public events? I would be supporting the different layers of the industry, from the button-sewer to the delivery person, and I hoped to bring other buyers to Nigerian brands. 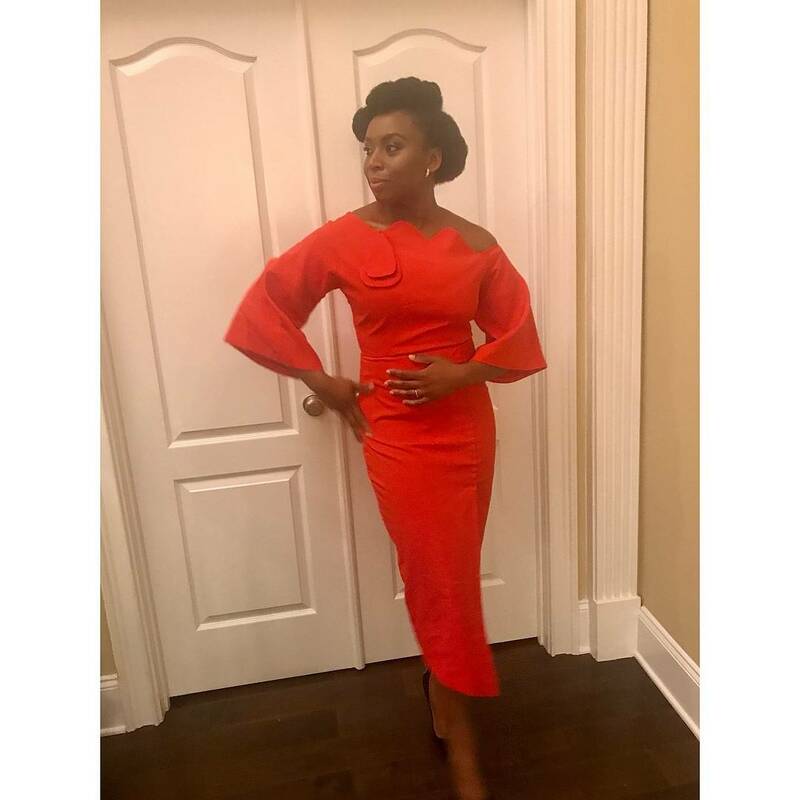 Adichie has deviated from the norm of just putting up pictures and mentioning the designers as seen in her previous posts. In two recent pictures, she adds very interesting narratives – describing the clothes and her poses. 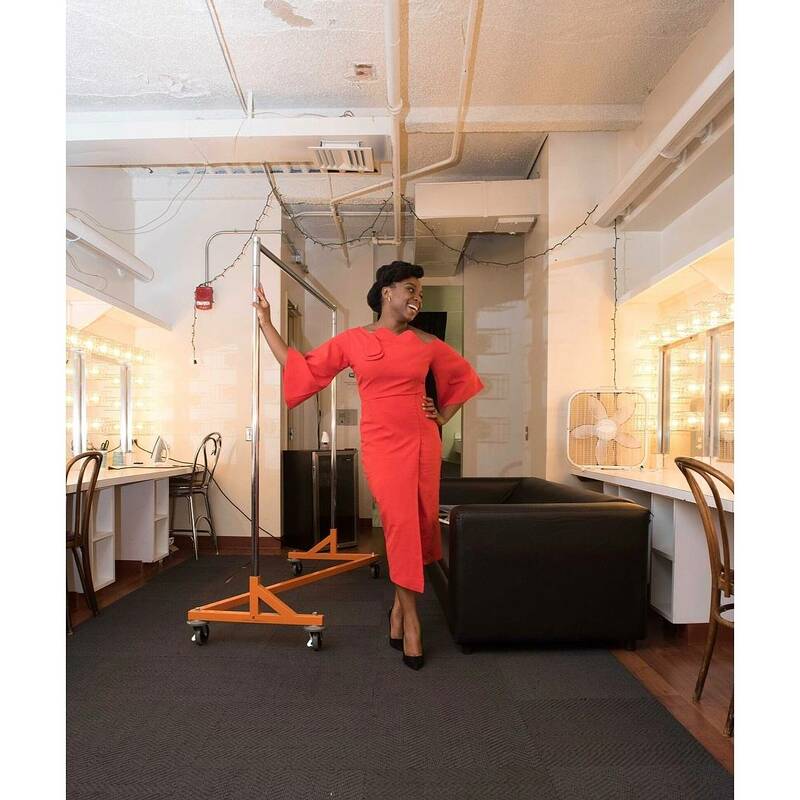 ​I loved this dress by @sheisdeluxe, which I wore to deliver the second annual Eudora Welty lecture at Lincoln theatre in Washington DC. The irreverence in the sloping shoulder. The grace of the scalloped neckline. The properness of its midi length. Backstage, after my lecture, I told the lovely photographer Kea how much I hate being photographed, how I tighten into a stiff, awkward knot at the sight of a camera. She — cool, crisp, calm — took charge and told me what to do, and made it all bearable. Two Nigerian brands in conversation. The Fruche top: orange and print color splash, rakish cut-out, metallic silver appliqué. The Amarelis trousers: a very yellow yellow, pleats running down its length, wide legs generously flowy. Both refuse to choose. Both layer boldness with boldness.